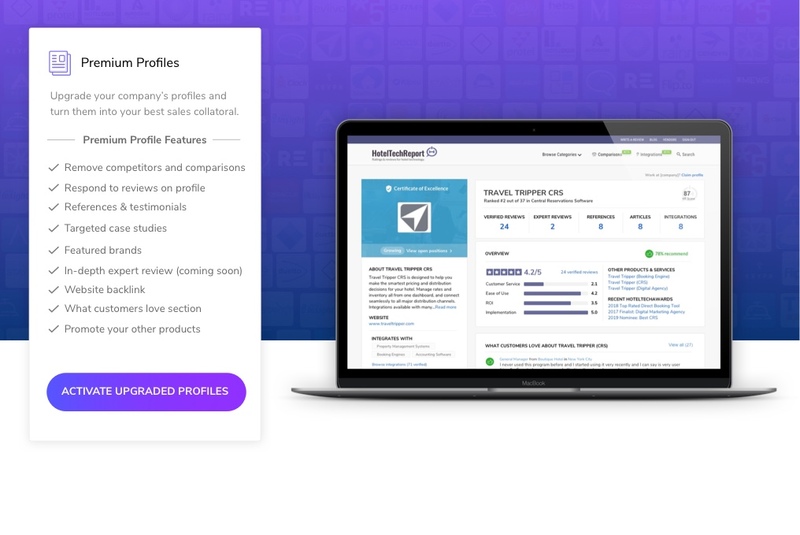 Ready to upgrade your profiles? Other products by your company and recent awards: Promote your other products and display your HotelTechAwards on your profile. Featured brands: Leverage brand associations to elevate your brand by displaying the logos of your most respected partners front and center. Expert reviews (coming November 2018): Supplement user reviews with in-depth expert reviews to help buyers learn more about your products and services. Respond to reviews from profile: Recover from negative reviews and show prospects you care by responding to reviews right from your profile. Why upgrade to Premium Profiles?